Guest conductor Richard Floyd will join the Wind Ensemble Oct. 7. Guest conductor Richard Floyd, musical director and conductor of the Austin Symphonic Band, will join the ensemble. 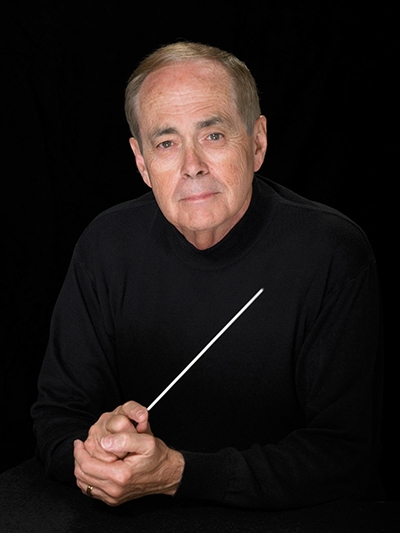 An award-winning conductor and music educator since 1962, Floyd is a member of the Music for All Bands of America Hall of Fame and is UIL State Director of Music Emeritus at the University of Texas at Austin. "William Byrd Suite" by Gordon Jacob. "Rondino in E-Flat" by Ludwig van Beethoven. "Astrarium" by Peter Van Zandt Lane. "La Procession du Rocio" by Joaquin Turina/Alfred Reed. "Blue Shades" by Frank Ticheli.